ClotIt® is a non-staining, non-stinging blood clotting powder made up of All Natural minerals designed to rapidly and painlessly stop bleeding in all wounds from minor to severe. 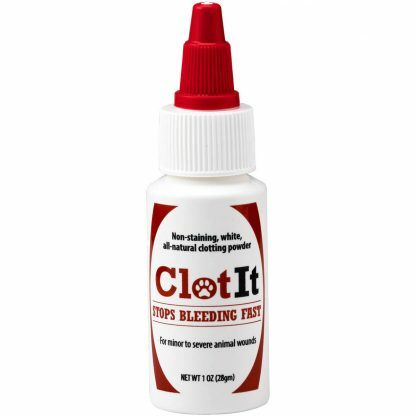 ClotIt® is not a harsh chemical styptic and works with the animals natural blood clotting system to quickly stop bleeding. The painless, natural powder prevents conditioning the dogs you work with from becoming foot shy. 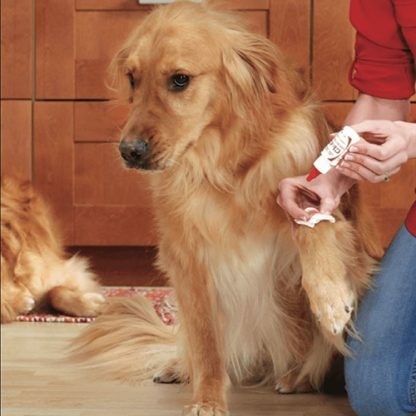 ClotIt® will not discolor a pet’s coat, groomers hands, or expensive equipment. ClotIt® does not clump, is 100% odorless, and has an unlimited shelf-life. Apply ClotIt® to the wound or pack in a nail quick, and apply moderate pressure for 15 seconds. If bleeding continues, apply additional ClotIt® and re-apply pressure. All wounds are different as are all pets, however, ClotIt® will stop bleeding in dogs, cats, birds, reptiles, and all farm animals. After decades of few alternatives, ClotIt® is a product that the industry has truly been waiting for. The proper way to use ClotIt® on a nail quick. 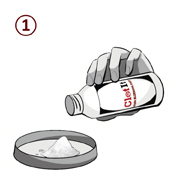 Before clipping nails, find a lid, piece of paper or other convenient flat surface to pour ClotIt® in. *DO NOT APPLY DIRECTLY FROM THE BOTTLE. 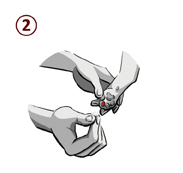 Pinch a generous amount of ClotIt® between your thumb and forefinger. Hold the pet’s leg securely with your other hand. Pack the nail fully with ClotIt®. Hold the nail with your thumb on top of the nail and your forefinger on the quick, maintaining moderate pressure of a minimum of 20 seconds. Make sure the nail is fully packed with ClotIt®. After 20 seconds examine the nail. Apply generously and directly into the wound – completely covering it. 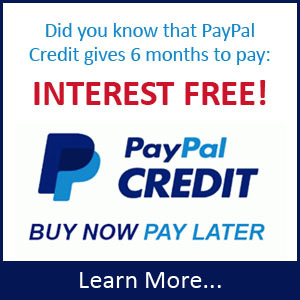 Apply pressure for 15-20 seconds. Inspect the wound and re-apply only if necessary. If bleeding persists consult a veterinarian.